Pelican Products, Inc. is the global leader in design and manufacture of high-performance case solutions. Their products are used by professionals in the most demanding markets including firefighters, police, defense, military, aerospace, entertainment, industrial and consumer. Pelican products are designed and built to last a lifetime. Pelican was founded in 1976 by Dave Parker in a Torrance, California garage. An avid Scuba diver since age 11, Parker recognized the need for rugged cases that wouldn’t leak or fail. So he set out to build a better product than any other on the market. Pelican Products produces some of the finest watertight cases in the world, and their original line of injection molded cases has stood the test of time and is still the considered the standard watertight case that all others are compared to. Their products range in size from small enough for a memory card to large enough for multiple rifles. 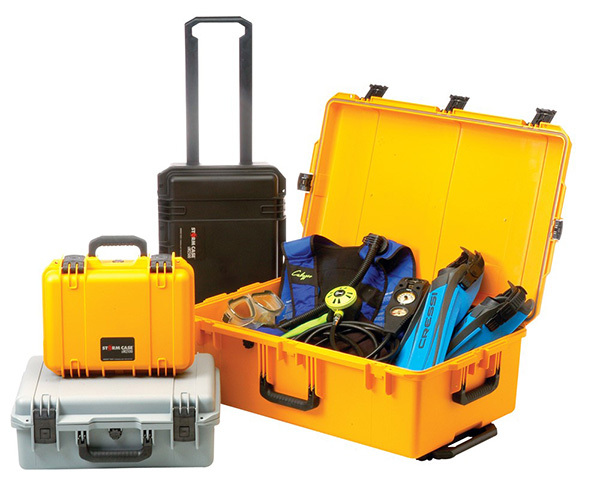 Whatever your case needs are, Pelican should have a solution for you. The Pelican Storm line of cases is as tough as the original Pelican cases, but are injection molded from HPX high performance resin that is virtually unbreakable, dent resistant and shatter resistant. It is tough, rugged, lightweight, airtight and watertight. There is a permanently attached Vortex valve that automatically adjusts air pressure without letting in water, and won’t unscrew from the case. Press & Pull latches open with the push of a button, yet stay closed securely under impact or stress. The case has unbreakable molded-in hasps that allow the addition of standard size padlocks. The storm cases are carried by double-layered, soft-grip, solid-core handles. Lightweight retractable, telescoping handle and rugged in-line wheels are used on many of the larger sizes for ease of handling. 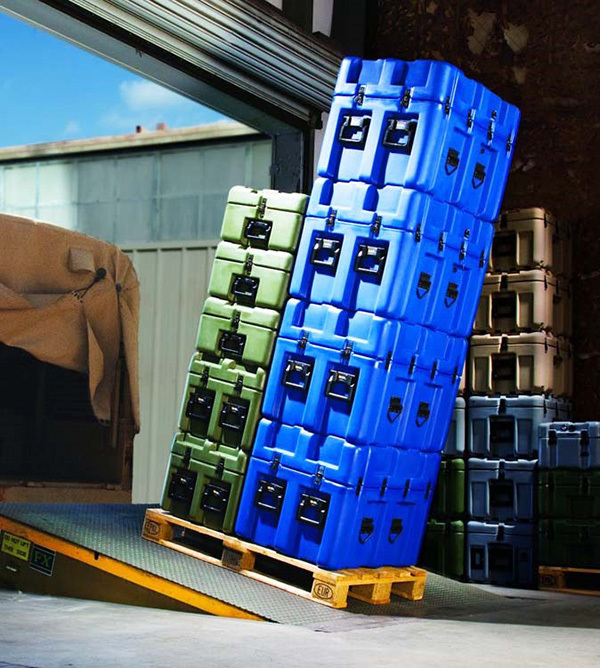 Pelican has the largest lineup of rotationally molded cases in the world! The thick corners of these cases hold up to the most demanding shipping conditions, while the thinner walls help keep them lightweight. The options on these cases are nearly limitless and include airtight/watertight, lockable, removable lids, edge casters, bottom wheels, tie down rings, and nearly any other custom option you can think of! The large variety of shapes and sizes that Pelican offers will ensure there is a size available to meet your needs. 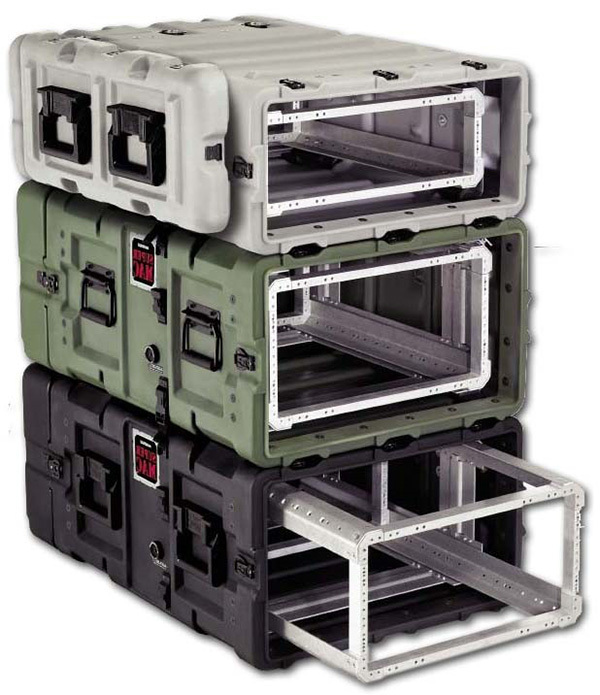 Pelican offers a large line of Rack Mount cases to meet your most demanding needs. 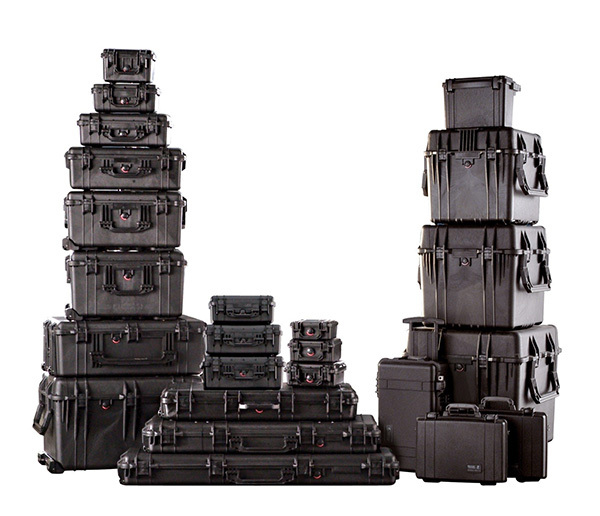 From their entry level BlackBox series to their top of the line Super Mac cases, Pelican provides all of their rack mount line in rotationally molded shells to give you the most durable rack mount cases you can find. Our expert staff can help you find the size and series of rack mount cases that will best fit your needs.